"I'm unable to sign in to my iCloud account for over a week now. Though I got the iPhone 3 weeks ago, I was promised by the seller that I wasn't going to have any issues with the iPhone. But now I'm frustrated because I can't get past this iCloud lock". If you're having this kind of issues, don't worry. 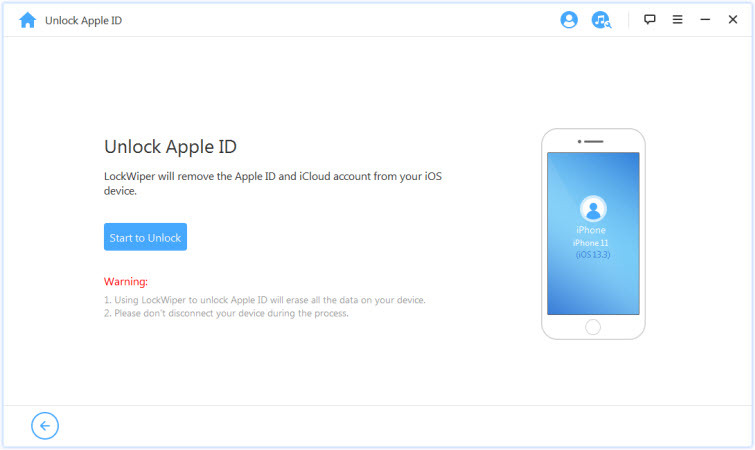 In this article we'll show you an effective method to unlock iCloud. Before this, you need know whether a free iCloud removal can be trusted or not. Part 1: Can You Trust "iCloud Removal Free"? Can You Trust "iCloud Removal Free"? 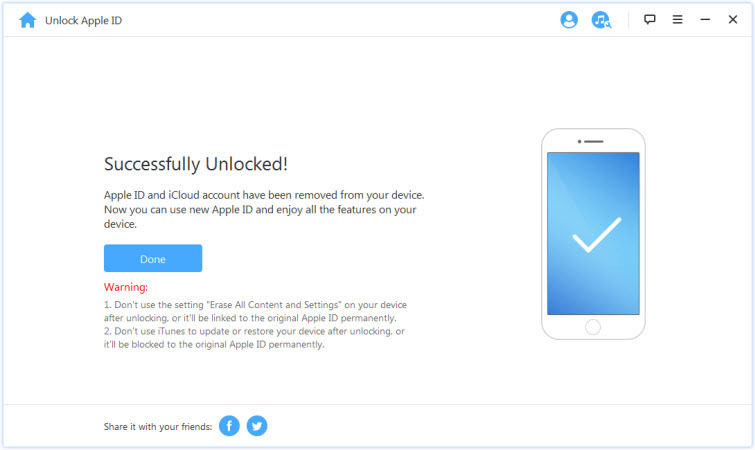 There are various sites that claim to remove iCloud account for free, but you need to be very careful. They don't just work and it's not something I'd advise you to do. 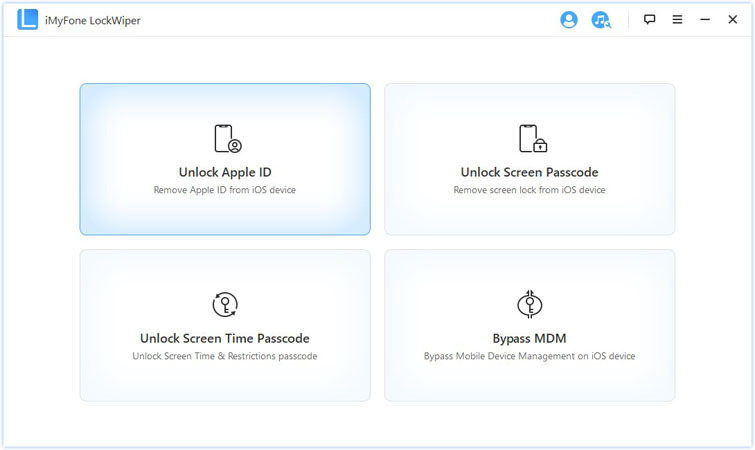 From the moment "Find My iPhone" and iCloud Lock was introduced, many iCloud removal tools that claim to bypass these Apple security features emerged. Many of these free online tools that promise to hack your iCloud account are scam websites. What they want you to do is to download their so-called free tool to your device. Once you do that, the tool will have access to your private data. Too bad! These free iCloud removal tools are just bunch of malicious software. So, thread with caution. If you think carefully, you should know that "nothing good comes easy." Therefore, free iCloud removal tools are just there to steal your private data or monitor your activity. When an iCloud account is locked, the moment you turn on the iPhone, you'll be stuck in iCloud activation lock screen. It will ask you to provide the iPhone's Apple ID and password. So, if your device is a second hand and you have the contact details of the original iPhone owner, you can ask him/her for free iCloud removal. If the previous owner accepts to help you, he/she will need to use the following steps to disable the lock. Step 1. Sign in to iCloud.com with the owner's Apple ID, then locate "Find iPhone". Step 2. Select "All Devices" at the top of the phone's screen. Step 3. Select the iPhone device you want to delete from iCloud. Step 4. Finally, click "Remove from Account". Step 5. Once the previous owner deletes the iDevice from his/her account, you should switch OFF the device and switch it ON again to setup your iCloud account with a new Apple ID. When you want to remove an iCloud account from your iPhone, and you do not have the password, here is your go-to solution iMyFone LockWiper. This amazing software is designed with the capacity to remove iCloud account even without a password. It is easy to use, and so you do not have to waste time trying to figure out how to use it. Removes Apple ID from your iDevice in fast and convenient steps (even when Find My iPhone feature is on). 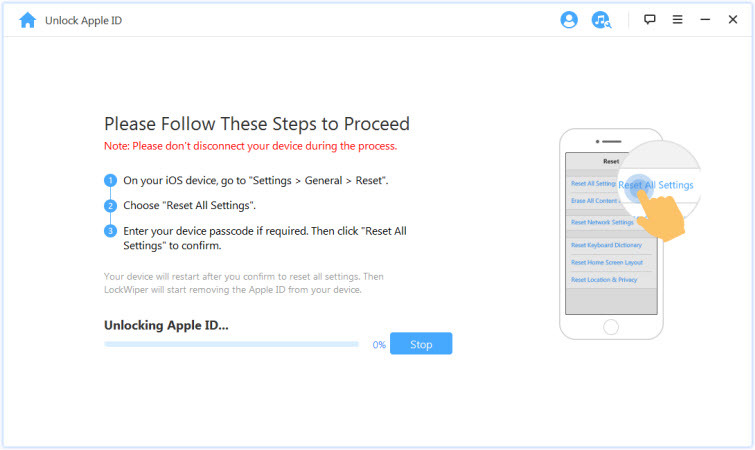 Removes Apple ID or iCloud account from your iPhone/iPad even when you do not have the passcode. You can switch to a different Apple ID or create a new one after removal. Your iDevice will not be blocked or tracked by the Apple ID previous user after removal. Can also remove any kind of lock screen: 4-6digit passcode, Face ID, Touch ID, etc. Step 1: Connect the iDevice to your PC using a compatible USB cable. Launch LockWiper and trust the connection when you are prompted to. Step 2: Select Unlock Apple ID mode from the software home interface. Step 3: Select Start to Unlock to begin the unlock process. 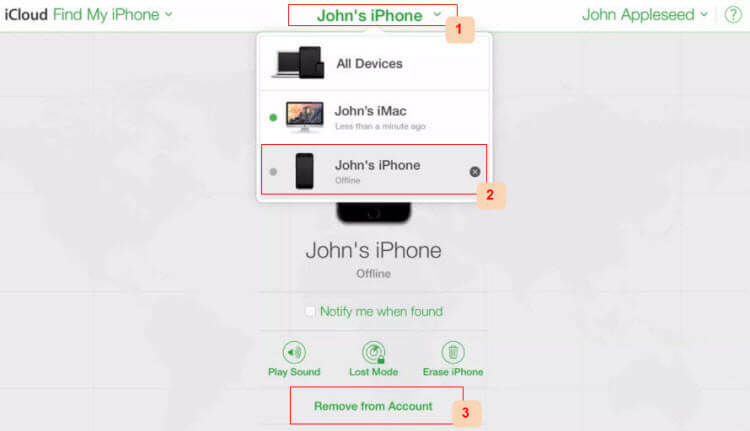 Step 4: Since Find My iPhone is activated, you will need to open the Settings app on the iDevice and then go to General > Reset > Reset All Settings. Once the process is completed, the Apple ID will be removed from your iDevice, and you can, thereafter, use a new Apple ID on the device. iMyFone LockWiper does not support iCloud activation lock removal, it can only remove iCloud account when Find My iPhone is activated. While there are numerous sites and service providers who boast of being able to remove and hack through the iCloud security, the truth is, most are scam artists who are out to separate people from their money. However, the best and surest way to remove Apple ID from iPhone is by using the iMyFone LockWiper software. It is fast, reliable, and effective.